When I was operating my photography as a sole proprietorship, it was relatively easy, as far as expectations. I had a product to sell and either it sold or didn’t. The assets were and are mine, the accounting easy enough for me to keep up with. As I became more involved in dog rescue, I was advised that to support the organization, I would need to get a 501(c)3 tax exempt status from the IRS. I cringed because just those three letters send chills up my spine. So I went ahead and did all the cumbersome paperwork for incorporation and the application for the 501. On August 11, 2014, Extraordinary Dogs Inc became officially a 501(c)3 public charity. 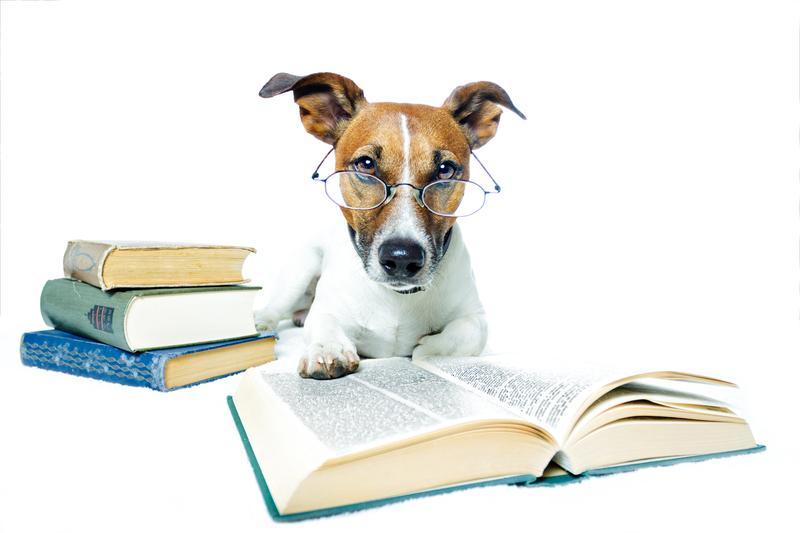 Being a “Pollyanna” and armed with my IRS letter of determination, I started contacting dog food companies and other corporations for a deduction in services. When I went to open a bank account, I discovered that I would still be charged a fee. My response was, “But I’m a public charity.” The manager just kept a blank stare, and responded, “Well, if you maintain a $500 balance in your account, the fee is waived.” Right . . . I laughed because every spare cent is used for the care of dogs. As we got listed on various sites as a nonprofit, I began getting solicitation calls about participating in “dynamite fundraisers.” Some of them sounded pretty good until I read the contract and discovered that what the promoter promised was not in the contract, and that I could actually end up owing money for the fundraiser. The promoter’s response was, “Oh, don’t worry. If the fundraiser flops, we would never take money from your nonprofit.” Really? Then put it in the contract. There’s a little bit of a learning curve when dealing with income and assets of a nonprofit. I had to develop a different mindset about what is “mine” and what belongs to the nonprofit. I need lots of things for the dogs in my care, and if I need crates or kennels or supplies to build a new pen, I just use my retirement checks. So those remain my personal assets. When a wonderful business donated a GoPro camera, it was a donation to the nonprofit, and belongs to Extraordinary Dogs Inc.
We just completed our first Tee Shirt campaign through Booster by Customink. A big “thank you” to everyone who bought or sponsored a tee shirt. We had a goal of 50 shirts and sold 41. 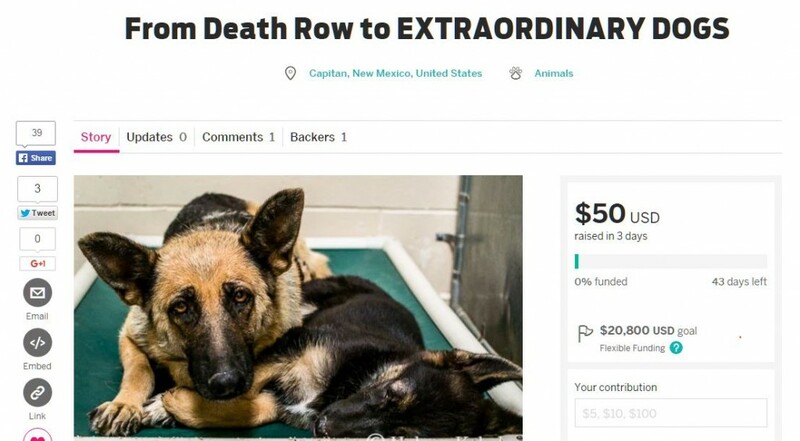 When the cost of the shirts purchased by Extraordinary Dogs for promotional purposes is deducted, we netted a profit of $300, and that goes directly into the dog food fund. One of our most critical needs at this point is a safe way to transport more than one dog. My personal vehicle is a pickup truck and only one crate will fit in the front seat. Whether I’m going to animal control or to the vet or town for a doggie “field trip,” I’m limited to 2-3 dogs at the most. Also, if I ever had to evacuate due to some natural disaster, I would be hard-pressed to get everyone to safety. We have an opportunity to purchase a used cargo van for a very good price, so we started a crowdfunder on Indiegogo. There are several crowdfunders out there, and because this one offered me a discount on user fees, I went with them. I have to admit that I am pleasantly surprised at the support they offer. The only thing that I find “disturbing” about some of these “services” that cater to nonprofits, is they use a third party listing for nonprofits. To be listed as a “verified nonprofit” campaign, you have to be in a certain database which charges a fee of $500 just to be listed, and then it takes longer to get your funds. I can’t justify spending that kind of money, the equivalent of five spays, just to be “listed.” Anyone can do a search on the IRS database to determine the tax exempt status of a nonprofit, it’s free and all donations are funneled into a business account, separate from my personal accounts. So here are the major fundraisers to get us through to the end of the year so that we can be on track with our mission, which is outlined in detail in the Indiegogo campaign. Please take time to comment, share, like . . . it affects the algorithm they use to feature certain campaigns. We will be adding other perks as they come in. If all you can donate is $1, we would be grateful for that and this campaign allows it. We WILL have a 2016 calendar. Fine art photography is still a passion for me. My work has been exhibited in several shows/galleries, and I am still active although the welfare of the animals is now my primary focus. I have also published an online magazine which you can see samples here. So I’m looking forward to designing an awesome and inspirational calendar. I encourage everyone to enter a photo and collect votes. The grand prize winner will receive a $250 shopping spree at No Bones About It in Ruidoso, NM, or a cash award of $100 for a non-local winner. We hope to add more prizes. In another couple of weeks, we’ll be ready to re-open our “resale” store in Capitan, with a new name, “The Puppy Potpourri.” We have had so many beautiful and unique donations that referring to our sale as “rummage” was really not appropriate. 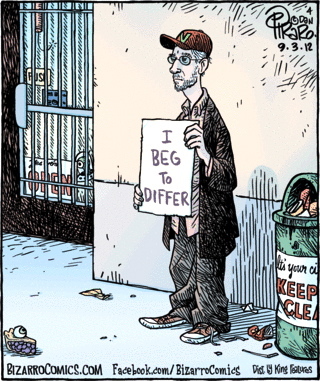 So, we feel that “outright begging” needs to be balanced with some good fundraisers that give back a little. Please pick one that you like. You can also donate to a specific fund or dog via options on this page. We know that not everyone can foster or adopt, but we ask that you do what you can and what feels good for you. The mass killing of companion animals is a national crime and epidemic. Some of us choose to devote more time and resources to alleviate this problem, others can only be on the sidelines and support those of us who are “in the trenches.” Even a share, a “like”, a comment on social media, helps, as does a $1 donation. Anything that comes from the heart, no matter how small, is significant and greatly appreciated. To those of you who have already joined us on this journey, thank you! 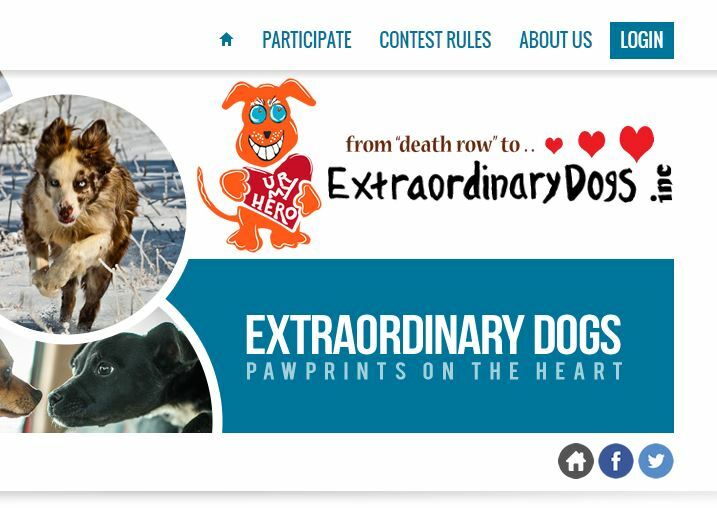 EXTRAORDINARY DOGS INC. is a nonprofit organization registered as a 501(c)3 public charity in New Mexico. Please remember that our operation and successful rescue and retraining depends on your generosity. 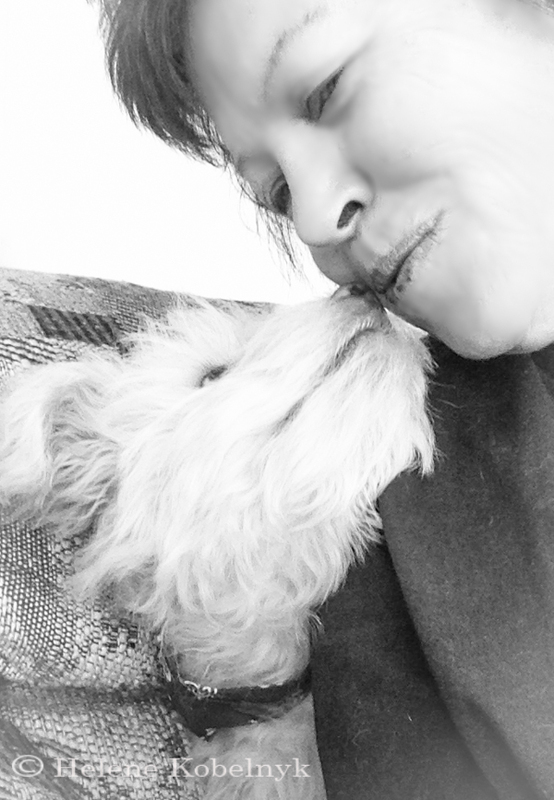 ALL contributions go directly to the care of the resident dogs, and are tax deductible.